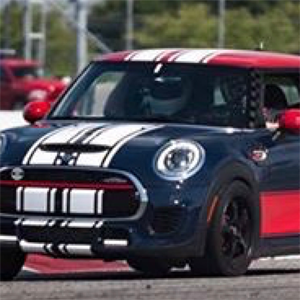 Just under a year after purchasing the first of four MINI Coopers Jason attended his first HPDE at the SCCA St. Louis 25th Birthday Party track weekend. He was immediately hooked. Jason spent the next 3 years at Gateway Motorsports Park, Putnam Park and the National Corvette Museum racetrack honing his skills and having a great time. Since that time Jason has also been a frequent participant at autocross events and most recently took a few runs down a drag strip. Jason is currently a Board Member for the St. Louis Chapter of the BMWCCA, a member and past President of the St. Louis MINI Club, and a member of the United Camaro Club. Jason is also an instructor/volunteer with the St. Louis Street Survival Schools.